The trip for Kintamani Bali Tour are very exiting combination of art, culture, landscape and culinary that unforgetable. Kintamani with the famous Batur Volcano are very nice place to visit with the stunning view of Batur Volcano which is one of the active volcano in Bali. 12.30 – Lunch at Kintamani Village, Breathtaking view by Batur Volcano and Lake Batur View during lunch. Celuk is the famous place of interest in Bali with the production of Traditional Gold and Silver art. We can enjoy the making process of the Gold & silver art directly. Along the main road we can see a lot of art shop. Each art shop has a work shop where the visitors can see the artisants make their work. 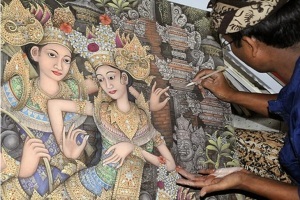 Batuan Village is noted for its artwork and style of painting which originated in the village in the 1930s and has since emerged into a major Balinese artistic style, known as a Batuan painting. 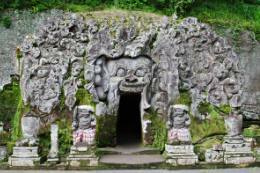 There are two artistic temples are built in classical Balinese temple architecture style with elaborate carvings. 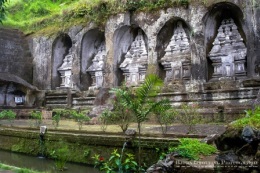 Tirta Empul temple is a Hindu Balinese water temple. The temple compound consists of a petirtaan or bathing structure, famous for its holy spring water, where Balinese Hindus go to for ritual purification. The temple pond has a spring which gives out fresh water regularly, which Balinese Hindus consider to be holy. 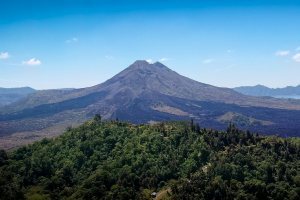 Mount Batur (Gunung Batur) is an active volcano located at the center of two concentric calderas north west of Mount Agung on the island of Bali, The Volcano view is awesome from Panelokan street. Many people go for trekking to the peak of Mount Batur for sunrise moments. The word of Gua Gajah is anticipated coming from the word of Lwa Gajah, the name of Buddhist Temple or hermitage for Buddhist monk. The Gua Gajah’s name is written on Negarakertagama papyrus which is compiled by Mpu Prapanca on 1365 M.
contained human remains or ashes. 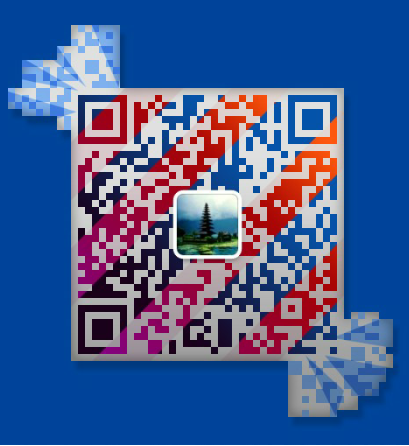 Seminyak, Legian, Kuta, Nusa Dua, Jimbaran, Sanur, Ubud, Denpasar, Bali Airport. Inclusion: Private Car / Minibus (Full Air Conditioned), Petrol, English Speaking Driver, Entrance Fee + Parking Fee, Lunch. Exclusion: Personal Expense, Driver Tip. Find Hotel at Ubud Click Here! and Contact Us! for more save hotel cost.